B & B CasaBusari finely restored building in the historic center of Palermo, about 200 meters from the cathedral of Palermo. 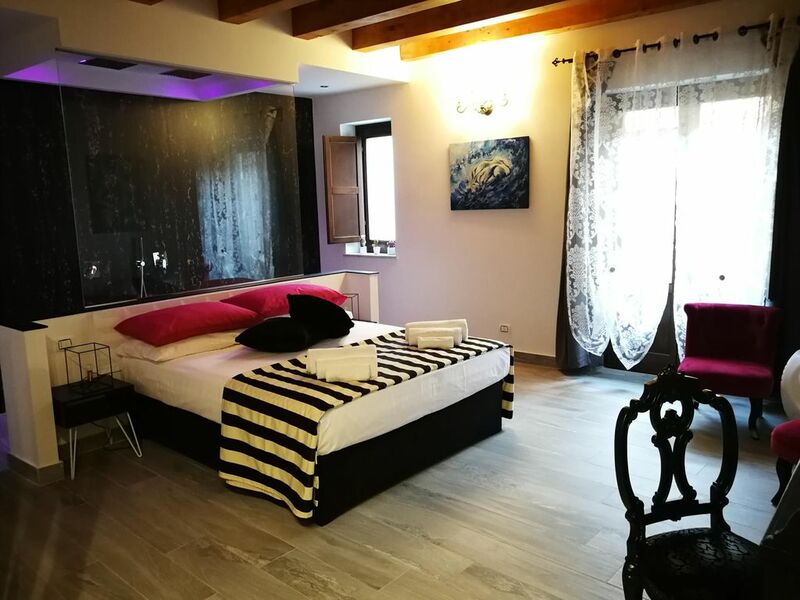 Two-storey building with elegantly renovated rooms equipped with bathroom with emotional shower; heating in the room safe, tv-smart-wi fi fridge-bar. on the ground floor our guests can delight their palate with a continental breakfast with traditional Sicilian sweets. At the crossroads between Via Maqueda and Corso Vittorio Emanuele, there is the wonderful Piazza Vigliena, also known as Piazza dei Quattro Canti. Ideally it represents the geometric center of Palermo and is characterized by decorations on the façades in the four corners of the square. Each façade has four floors: on the first floor, there are fountains that represent the four rivers of the ancient city, the second Doric-style depictions with allegories from the four seasons, the third floor in Ionic style, houses the statues representing the temporal power, and finally, in the upper floor, the four saints of Palermo, Agata, Ninfa, Oliva and Cristina. The Teatro Massimo whose construction work began towards the end of the 19th century on a project by the architect Giovan Battista Filippo Basile. It is a theater with really considerable dimensions (it can hold almost 1. 400 spectators), made in neo-classical style. and much more easily accessible through the alleys of our wonderful historic center, where you can stop and taste the traditional dishes in the various trattorias that you will meet.